Ronaldo has been playing games with Real Madrid and this was a chance for the president to get him back. 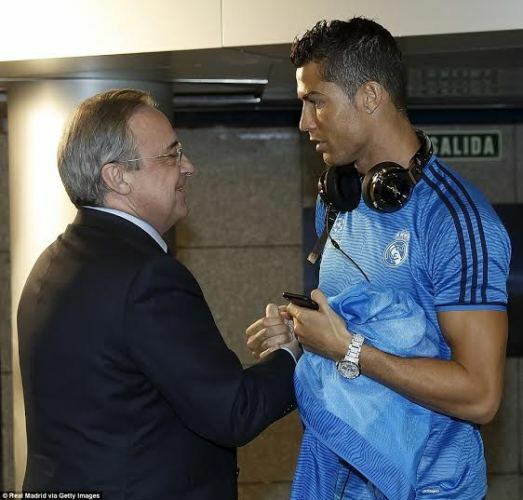 Television cameras caught Real Madrid Florentino Perez waiting for star player Cristiano Ronaldo as he arrived at the stadium with the rest of the players for Tuesday's crucial champions league clash with Paris St Germain. 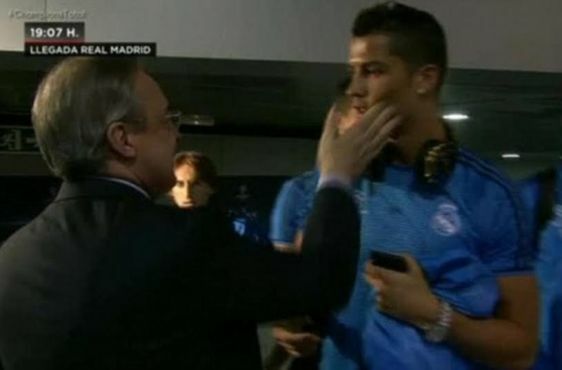 Florentino Perez could be seen asking the forward about a recent interview he gave German magazine Kicker, in which he hinted that he might not stay at the club. The president gave him a playful slap as he questioned Ronaldo, who looked less than amused and walked away saying: 'What did I say? I never said that. I said it differently,' he said as he made his way to the dressing room. Ronaldo looked a shadow of himself in the first half and wore a gloomy look in the opening minutes of the game. 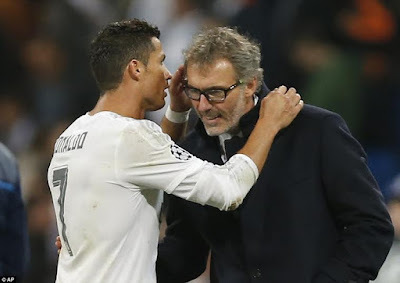 After the match he was seen whispering into PSG's coach Laurent Blanc's ears with rumours swirling he could join PSG next year or even return to England.